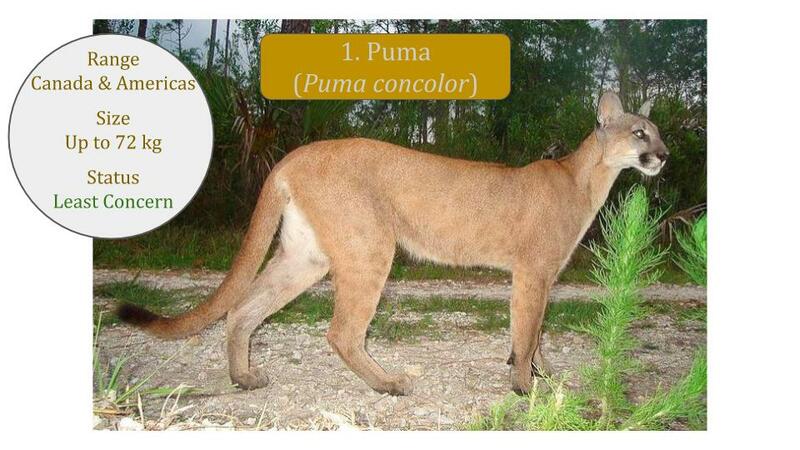 The Puma lineage consists of three diverse cats each in their own genus, differing in size, range and coat pattern. The Puma and Cheetah are often viewed as ‘big cats’ as they weigh over 50 kgs but they have different characteristics and evolved much later than the true big cats of the Panthera genus. Going back in Felidae evolution, this is one of the line of cats that descended from ancestors that migrated to North America from Asia following the first ice age 8 to 10 MYA (million years ago), when the Bering Strait land bridge linked Asia and North America. The Puma lineage then arose around 6.7 MYA and the Puma and Jaguarundi spread to South America during the second ice age across the Panama land bridge, whereas the Cheetah migrated back into Eurasia and ultimately into Africa. 1. Which cat holds the record for the most number of common names? 2. 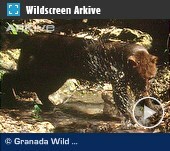 Name a characteristic that separates the cheetah and puma, both often called big cats, from the true big cats? 3. Which two cats are primarily diurnal (active during the day) differing from most other wild cats that are primarily nocturnal (active at night)? 4. 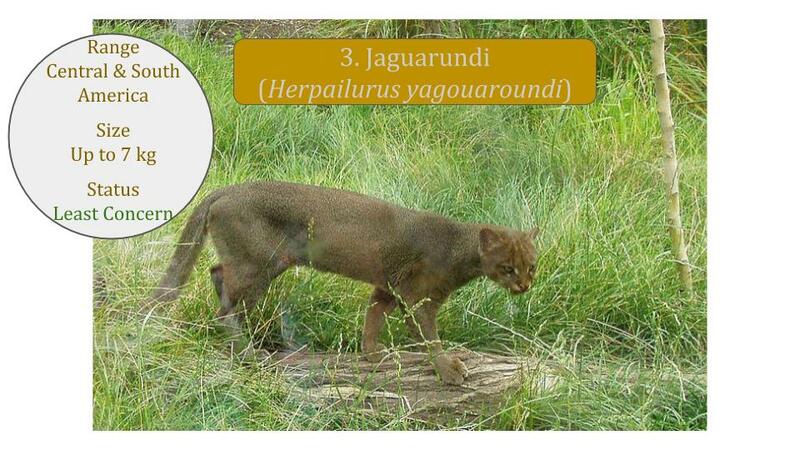 Which subspecies of one of these cats is almost extinct in the wild? 5. 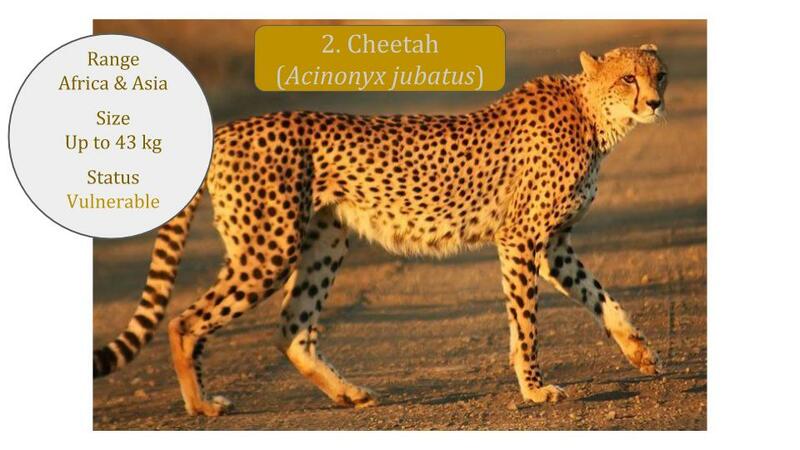 Which characteristics help the cheetah qualify as the fastest land mammal? 6. Which cat has two color phases?